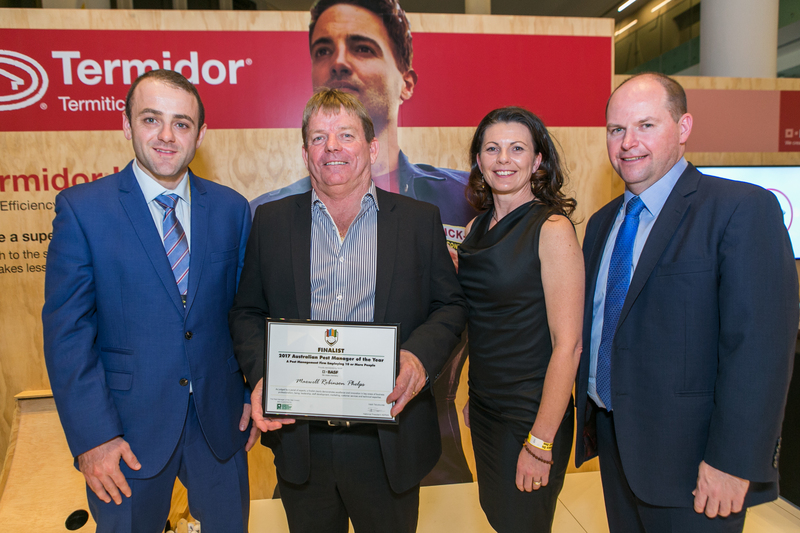 AEPMA was delighted to announce the winners of the 2017 Pest Manager of Year Awards (sponsored by BASF) at the Gala Dinner at the Rapid Solutions Conference earlier this month. 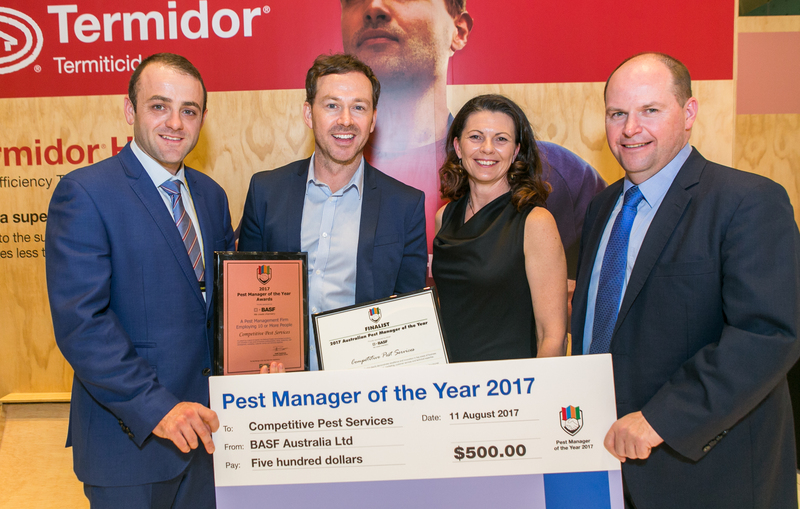 The Pest Manager of the Year Award (PMOY) aims to promote professionalism of the pest management industry to the public and other stakeholders. 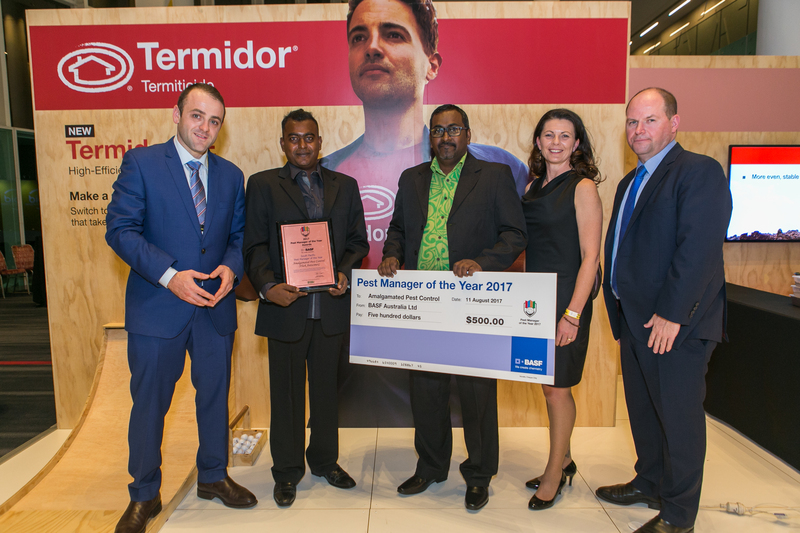 It secondly highlights the pest management industry to the public and thirdly encourages learning and increased professionalism of the pest management industry. BASF were once again proud to sponsor this event. BASF have invested a significant amount of money over the years to support the industry. 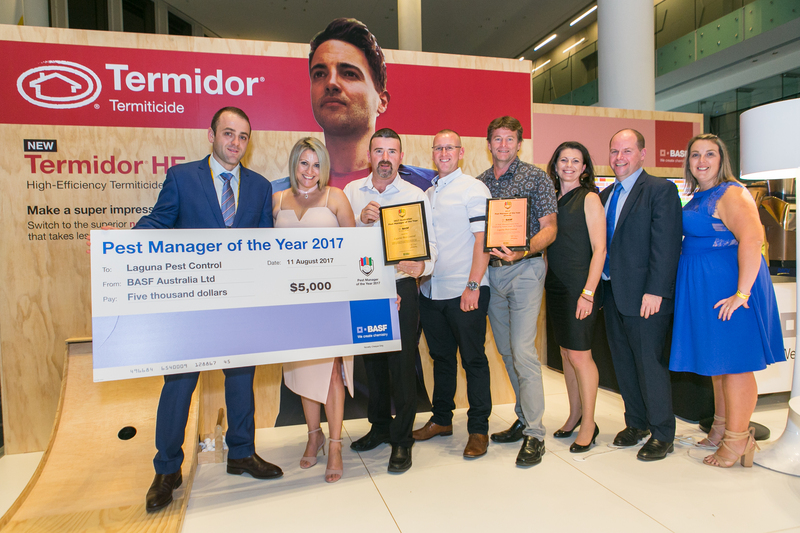 Stewart Paterson, National Commercial Manager BASF Australia, during his presentation of PMOY acknowledged all applicants of PMOY. The PMOY award has grown since its inception and now represents all facets of the industry. BASF is proud to be a part of PMOY and will continue to support and invest in the industry. 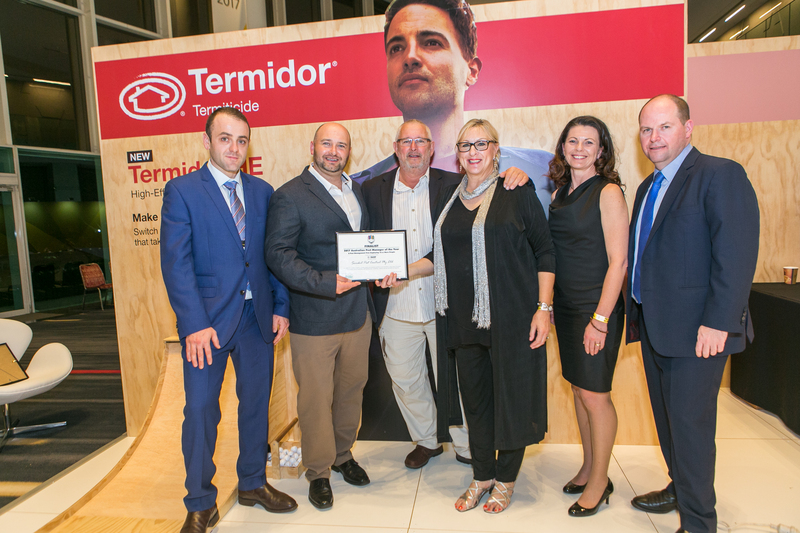 Plaques were presented to each category winner, and certificates for the two other finalists in each category. 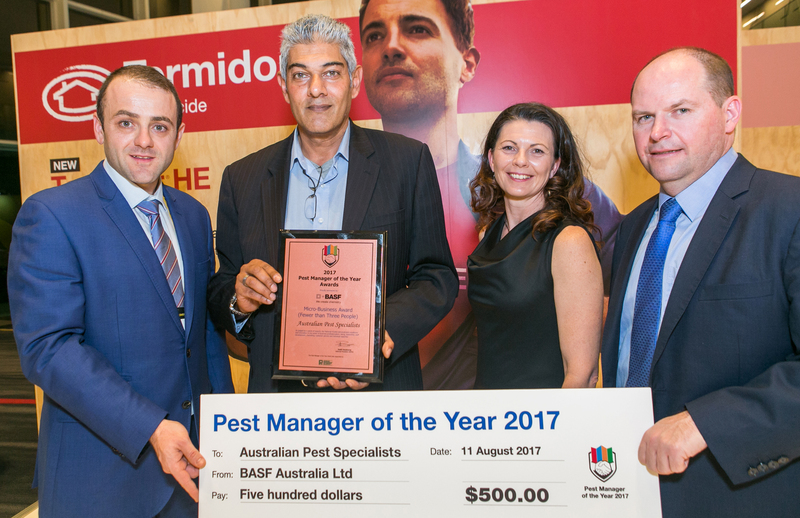 A video presentation (sponsored by BASF) featuring National Pest Manager of the Year 2016, Managing Director Gary Journeaux, provided a very motivating overview of the Competitive Pest Control business in both Australia and Myanmar.